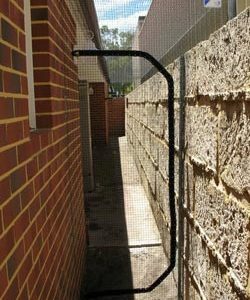 Nowadays, a large number of cat owners already decided to build outdoor enclosures for their pets to have some shelter when playing out in the sun. But what is the fun in that, if they only come as simple, boring little boxes? 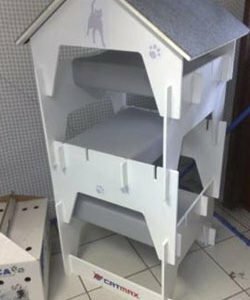 We offer a variety of fun accessories that you can use to add some flair to your cat’s little house, that both you and your pet will enjoy. At Catmax we’ve developed a special range of accessories that designed to complement our Outdoor Cat Enclosures and Caboodles and make for an even more fun, healthy and safe environment for your cat. 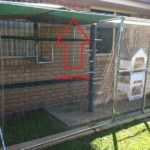 Apart from the Catmax Zip (which already includes installation time in price), all Catmax accessories are installed free of charge when installed as part of a new Catmax Clearnet Enclosure. 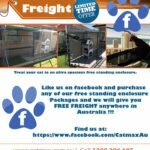 Installed separately, a Catmax accessory incurs a $83.60 call-out fee plus an installation charge of $83.60 an hour (plus the cost of the accessory, of course). Any size, although standard length is 3.0 metres. * Price may vary depending on location, please call for a quote.